The big press screening this week was, ahem, Step Up 3D, the latest instalment in the street dance series and the first one in 3D. (Although of course the British hit Streedance beat them to the punch few months back.) This is the most entertaining Step Up movie yet, but that isn't saying much: it's an unashamedly clunky plot strung together by rather fantastic dance scenes. From Hollywood, we had the ham-fisted men-as-boys Adam Sandler and pals comedy Grown Ups and the Jerry Bruckheimer action-comedy extravaganza The Sorcerer's Apprentice, with Jay Baruchel and Nicolas Cage in an overwrought, effects-heavy bit of eye-catching nonsense. At least it wasn't in 3D. On the other hand, Joe Dante's The Hole is one of the finest uses of 3D we've seen since Avatar, subtly using it to make the imagery deeper rather than gimmicky in this old-style kid's adventure-thriller. More adult thrills came in the British horror F, about a gang of terrifying hooded students, although there isn't much to it. More horror came in the British-Dutch ick-fest The Human Centipede, which makes me queasy just thinking about it. But by far the best and most original film of the week (if not the year) was the British biopic The Arbor, which blurs fiction and documentary to tell the life story of young playwright Andrea Dunbar. It's a stunner. This week's offerings include Francois Ozon's Le Refuge, the crime drama Dog Pound, the British comedy A Town Called Panic and the British gang drama Down Terrace. Sadly, with this week's announcement of the abolishment of the UK Film Council, we probably won't have quite as many British films this time next year. 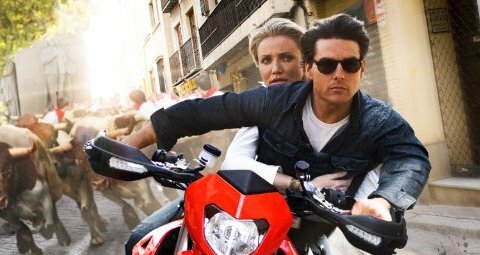 The studio took its time showing the Cruise-Diaz reunion romp Knight and Day, and you couldn't really blame them after the thumping it took by American critics. Yes, it's startlingly lazy filmmaking, but it's also rather undemanding good fun. 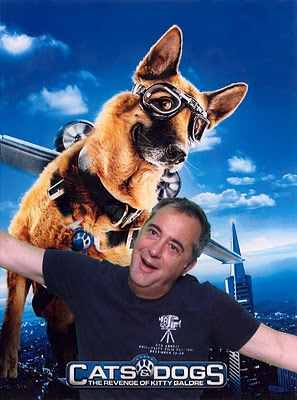 It also fares well compared to this week's other Hollywood offering, Cats & Dogs: The Revenge of Kitty Galore, a rather frantic sequel to the sleeper hit from, erm, 2001. Much more interesting were Mike Leigh's London drama Another Year, featuring ace performances from Jim Broadbent and Ruth Sheen and a barnstorming one from Lesley Manville, and Bong Joon-ho's gorgeously directed Mother, a very dark look at maternal love. In addition, Guiseppe Tornatore gave us another golden-hued epic paean to his childhood, and then some, with Baaria; Super Furry Animal Gruff Rhys' quirkily surreal Separado! takes us on a search for a distant relative in Argentina; and the British crime drama Bonded by Blood retells a familiar true story for at least the third time (and it's not the charm). On the other hand, Juliette Binoche's Cannes-winning Certified Copy failed to materialise due to problems with the digital projection, so I'll have to catch up with that next week. I'm also catching up with Nicolas Cage in The Sorcerer's Apprentice, the dance sequel Step Up 3D, the British drama The Arbor, and horror films from Canada (Joe Dante's The Hole in 3D) and Britain (F). Frankly, Christopher Nolan's Inception was the only movie I was actually looking forward to this summer, and it certainly didn't disappoint. I saw it last week at a press screening and found it an exhilarating experience: a rare summer blockbuster that actually engages the brain. Then last night went to see it again at an Imax screening - and I have to say it's a film that gets even better with a second look, especially with that massive, clear image and razor-sharp sound. Otherwise, it's been business as usual since returning from Edinburgh two weeks ago. The other biggie this month, of course, has been the third Twilight mope-fest Eclipse, which most critics have been far too kind to. Much better was the pulpy thriller Splice with more humour, better effects and proper acting from Adrien Brody and Sarah Polley. Brody also added some oomph to Predators, although the action romp kind of falls apart halfway through. And even worse was The A-Team, which should have been good fun, but wasn't. Smaller blockbusters were more enjoyable, including The Karate Kid, a mis-titled remake that wobbles a bit in its central casting of Jaden Smith but gives Jackie Chan one of his best roles yet. New York, I Love You is the next in the Cities in Love anthology series (after Paris Je T'Aime) and has some great shorts, even if it feels a bit too homogeneous to properly represent the Big Apple. And The Switch nicely teams Jennifer Aniston and Jason Bateman for an offbeat rom-com. Foreign films were a lot more challenging and lingering. Claire Denis' White Material stars the magnificent Isabelle Huppert and is predictably difficult, but well worth the effort. The biopic Gainsbourg is packed with bold filmmaking, some of which works effectively. The terrific Nouvelle Vague documentary Two in the Wave follows the relationship between Truffaut and Godard over three decades, although only true film fans can keep up with it. And the three-and-a-half hour award-winning Mexican epic Raging Sun, Raging Sky really pushes its audience to the limit, but there's some real beauty within the pretentious filmmaking. Coming up: Cruise and Diaz in Knight and Day, cats and dogs in, well, Cats & Dogs: The Revenge of Kitty Galore, Mike Leigh's Another Year, Juliette Binoche in the Cannes-winning Certified Copy, Bong Joon-ho's Mother and Gruff Rhys' Separado!